I’m worried about how safe our family’s drinking water is. Question: I’m worried about how safe our family’s drinking water is. What can I do? Answer: If you have concerns about the safety of your family’s drinking water, you’re not alone. It’s important to be informed about what’s in the glass of water you hand to your child. You want to know what is in the water that you bathe and shower in. There are many naturally occurring minerals deposits and sediments that can change the integrity of your water supply. In some areas, pollution and manmade issues can make the safety of the water supply questionable. Your Vorheesville plumber can help you find peace of mind about your family’s drinking water. Home water filtration systems are proven to be effective at removing naturally occurring and manmade contaminants to the water supply. 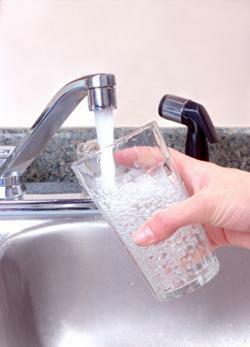 There are two types of home water filtration systems. Whole home water filtration treats your entire water supply, filtering all of the water your family uses. This includes water at the sinks, bathtub, washing machine, outdoor spigots and more. Source point water filtration systems filter water at the faucet: ideal for drinking water. Your Vorheesville plumber will help you pick the system that’s right for your family.